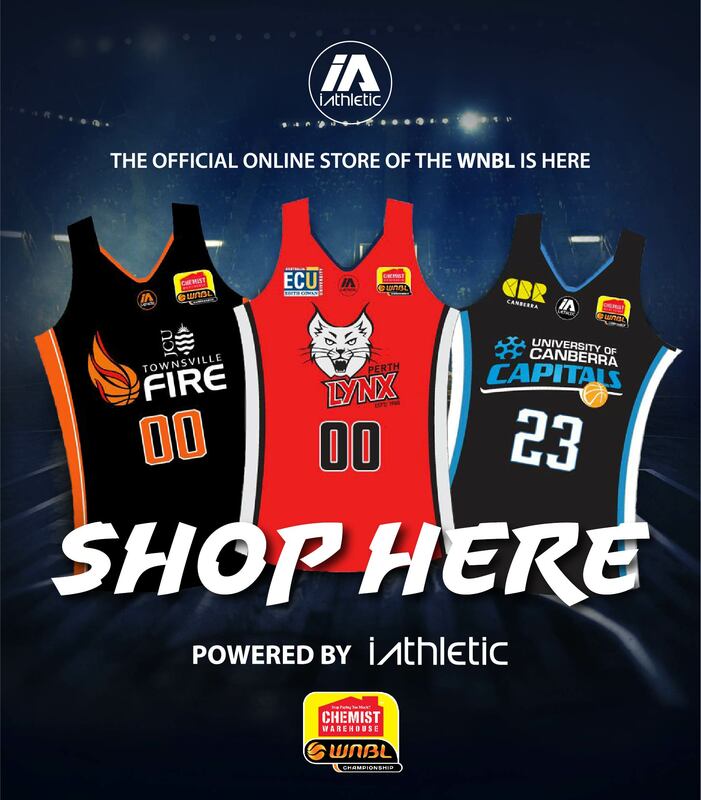 Following a sweep of Round 4 which has seen them move into outright first place on the ladder, the MAC Adelaide Lightning have two players feature in this Team of the Week in Abby Bishop and Natalie Novosel. Bishop averaged a double-double of 14 points and ten rebounds as well as 2.5 assists, a steal and two blocks while Novosel starred at both ends of the floor as well with 15 points, 3.5 rebounds, five assists and 3.5 steals across the two wins. For both players, it is their second appearance in the Team of the Week while this round also marks the second time the Lightning have had two players feature. 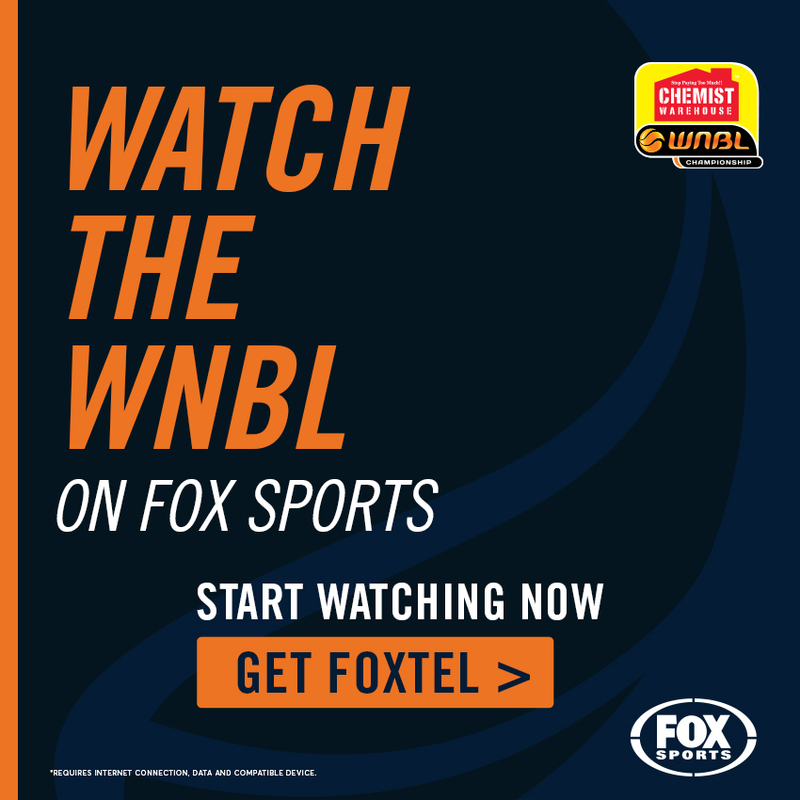 Also making the Team of the Week for the second time is reigning MVP Suzy Batkovic of the JCU Townsville Fire after she earned the Player of the Week award for averaging 26.5 points, 8.5 rebounds, three assists and 4.5 steals in two victories. 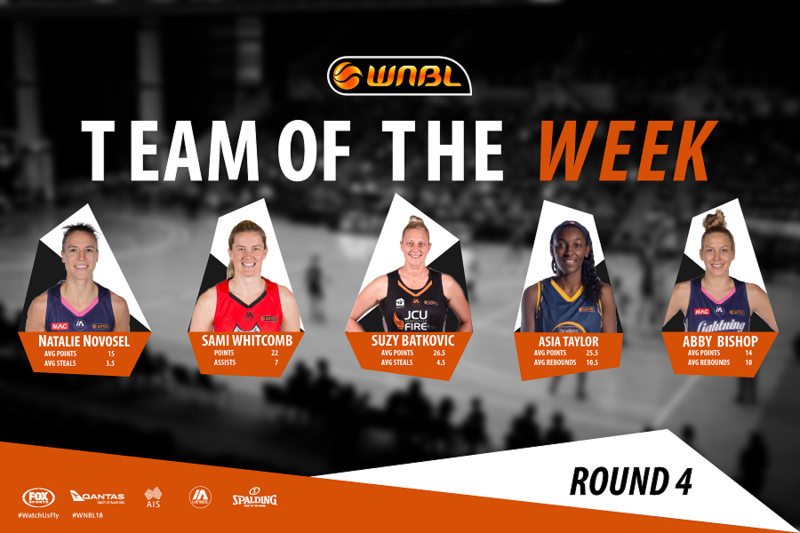 Holding the record for Team of the Week nominations last season, it has taken Perth Lynx’s Sami Whitcomb until Round 4 to earn her first spot in 2017/18. 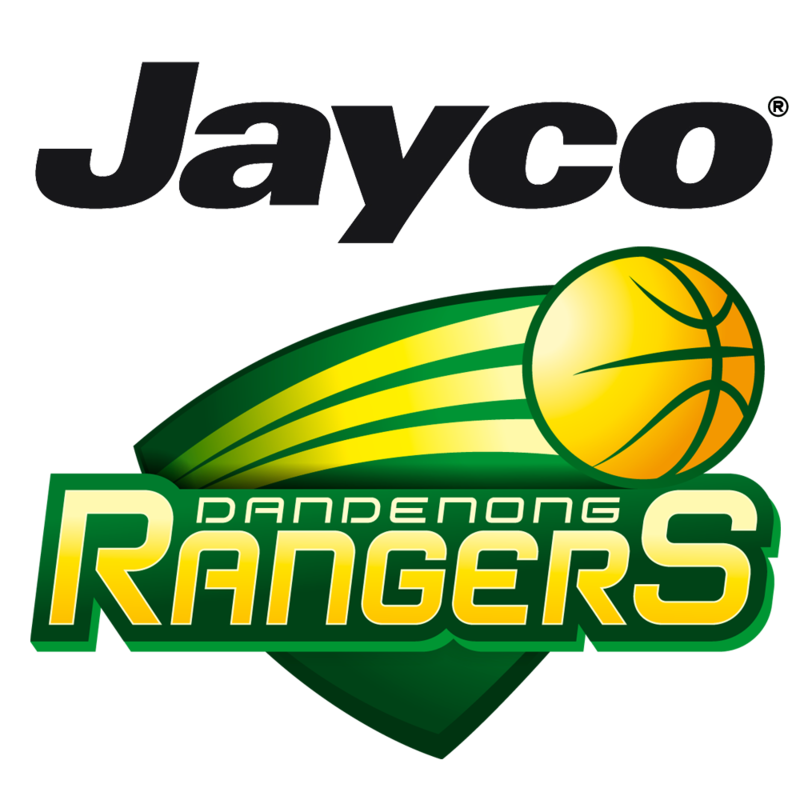 In the absence of Courtney Williams, Whitcomb took control in a victory over Dandenong with a near triple-double of 22 points, 12 rebounds, seven assists, three steals and a rejection. 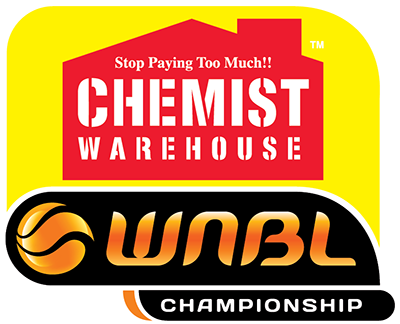 Rounding out the team is Brydens Sydney Uni Flames’ Asia Taylor who averaged 25.5 points, 10.5 rebounds, 1.5 assists and a block as her side split Round 4 with a loss to the Rangers following a win over Melbourne. 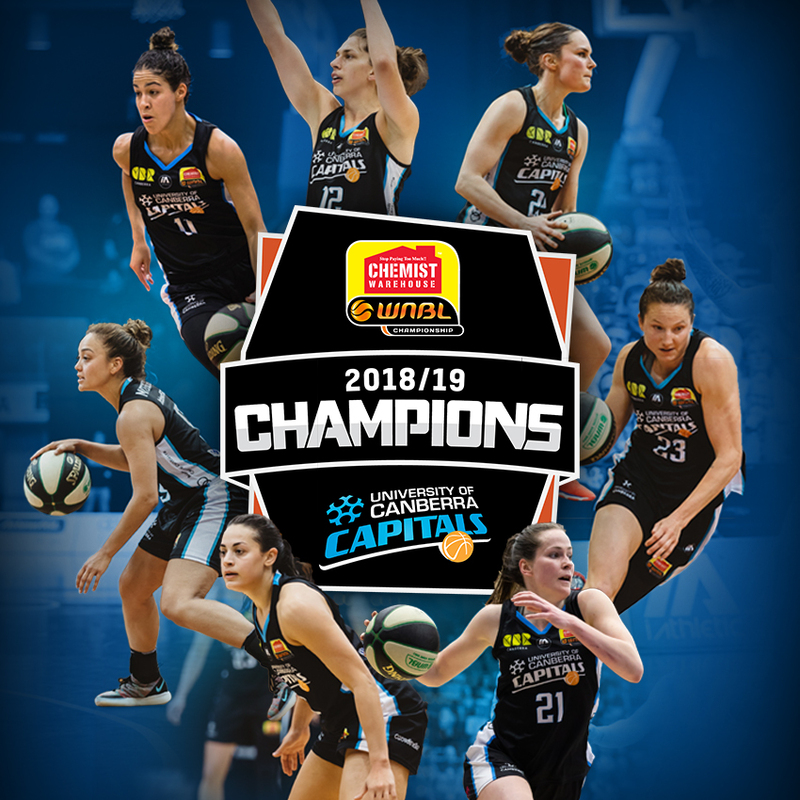 Honourable Mentions: Rachel Banham (Bendigo), Kelly Wilson and Darcee Garbin (Townsville).